Stem cell therapies have been controversial in the United States and in most Catholic countries for many years, due to objections concerning the use of tissue from discarded human embryos. The development of techniques that use an adult’s own stem cells, however, have opened up new possibilities for stem cell therapies for an astonishing range and number of diseases. 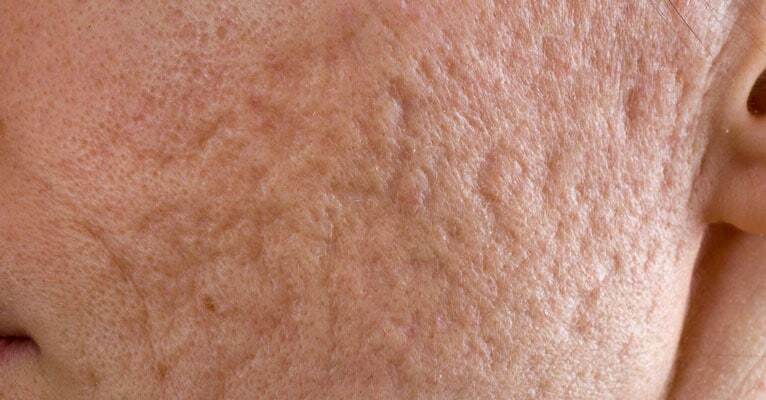 Stem cells can even be used as a filler for acne scars. Stem cells can be used as a filler for acne scars. The kind of stem cells that has been at the center of controversy in the United States is embryonic stem cells, harvested from the inner wall of the blastocyst, a structure similar to a balloon that appears in the earliest stages of human embryonic development. These cells have the capacity to develop into any kind of tissue anywhere in the body, including skin. Aside from ethical concerns, there can be serious complications in the direct use of embryonic stem cells in treating disease. The recipient’s body can reject embryonic stem cells because they are from another human body. Stem cells can develop unpredictably; one of the earliest clinical trials of the use of embryonic stem cells in the treat of Parkinson’s disease resulted in the formation of eye, skin, bone, and muscle tissue in the recipient’s brains, leading to their deaths. Embryonic stem cells simply are not suitable for the task of filling in acne scars. The overwhelming ethical issues involved in the use of embryonic stem cells don’t apply to the use of adult stem cells, stem cells from the patient’s own body. The human body continues making stem cells that can turn into bone, blood, or fat. As you might imagine, the overwhelming majority of adults in the United States have their own supplies of stem cells in fatty tissue. These stem cells usually turn into fat, although they can also turn into bone, blood, or cartilage. Since 2008, researchers have been able to produce iuduced pluripotent stem cells, ordinary cells that are treated in ways that turn them back into stem cells. One European scientific team reports transforming skin cells into pancreatic beta-cells that produce insulin. This technology, however, is not at the point it would be used for skin reconstruction. Dermatologists have been looking at the use of stem cells as a means of treating scars and skin injuries that they would now treat with fat grafts. Since the invention of the procedure by a German dermatologist named Dr. Neuber in 1893, dermatologists have harvested belly fat or buttocks fat by liposuction and then injected the fat underneath the skin where it needs filling in to conceal a scar. The downside of the procedure is that transplanted fat cells tend to be absorbed into surrounding tissues and the scar treatment only lasts a few months. It is possible to reduce the absorption of the transplanted fat by making particle size smaller, but this is not without risk. Breaking up the connective tissue between fat cells helps them stay in place in the skin if they are injected just above the basal layer of the skin, but just a millimeter too deep and there is risk of sending a fat embolism into the bloodstream. Adding to the problem, the process of chopping up the transplanted fat injures some cells that have to cleared out of the skin through a process of inflammation. Injecting the patients own stem cells, however, seems more promising. Most of the pioneering clinical work for this procedure is taking place in Japan. Stem cells are harvested not from the fat in the belly or buttocks but from the connective tissue underneath the belly fat. They are incubated in the lab so that they multiply to numbers sufficient to inject underneath the skin. As stem cells, they would ordinarily travel through the bloodstream to their destination, building connections with surrounding cells to form fatty tissues. Japanese researchers, however, have developed a method of stabilizing stem cells in a compound called hyaluronic acid. Hyaluronic aid is one of the basic building blocks of skin. The immune system will not reject it, and it helps stabilize the skin while the stem cells grow. The effects of this kind of stem cell treatment are gradual, increasing as the stem cells grow. Japanese doctors are using the technique for treating not just acne scars but also for filling in frown lines and wrinkles and for breast augmentation. It takes about eight weeks for the stem cells to become fat cells that can support the desired contour of the skin. There is no scarring, inflammation, swelling, or discoloration of the skin during the healing process if the injections are done properly. What If You Can’t Have This Procedure? Adult stem cell treatment of acne scars produces extremely natural and long-lasting effects, but it is not widely available in the United States. But you don’t have to have traditional fat grafting or have your skin injected with a synthetic filler to deal with your acne scars now. A skilled cosmetologist can show you simple ways to make acne scars less visible by highlighting other areas of skin. Often you can highlight a different area of skin to direct attention away from the scar to smooth skin. Or you can apply a slightly different tone of makeup to one side of your face that makes the scar seem to blend in with your natural skin tone. The experience of Japanese dermatologists with stem cell augmentation of the skin may not be completely transferable to treatment of people with other skin types elsewhere in the world. Japanese people who have acne tend to deal with it cosmetically by emphasizing cheek bones—and that doesn’t work with with every size and shape of face. But while you are waiting for safe and affordable adult stem cell treatments to arrive in your own country, you can use skillful cosmetic procedures to look our best. What’s New in Acne Therapy?